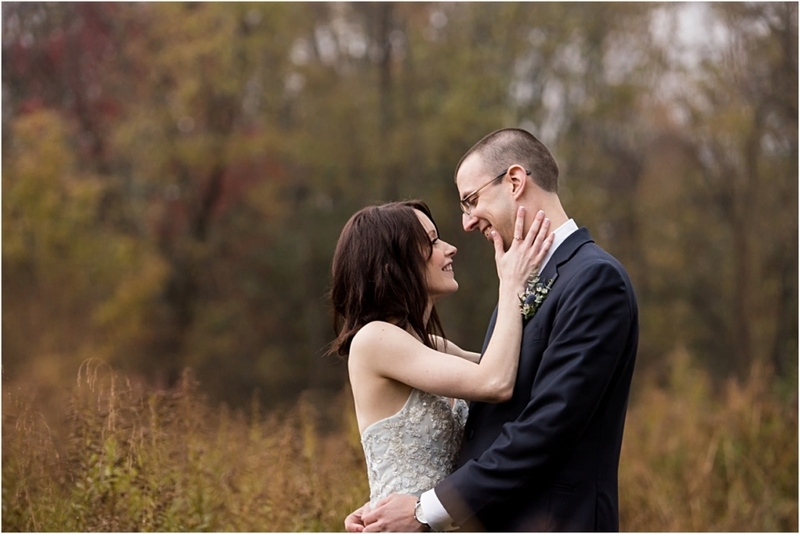 Becca and Adam held an intimate fall wedding ceremony and reception at the Pittsburgh Botanical Garden. With a guest list of less than 40 guests, there’s no denying that each and every guest was super special to them and so it was such an honor to document the evening. I had the opportunity to work with Becca and Adam last year during their ENGAGEMENT session in the city. We had so much fun! I spent a lot of time planning out details from the engagement session all the way to the portraits the day of the wedding with Becca. She’s a planner, and so naturally, we got along really well. The decor brought in by friends, family, and Vintage Alley Rentals all came together beautifully with the help of Wanderlust Weddings and Events. 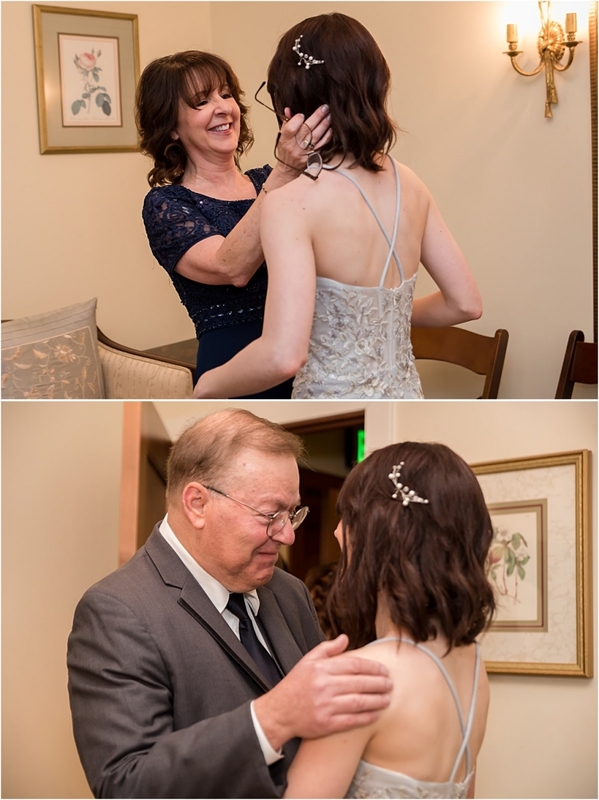 Seriously, you can’t go wrong with blue and white pumpkins, colored glass, and a beaded blue wedding dress – that’s right – her something blue was her dress AND her shoes. In true Pittsburgh weather fashion (I feel like I say that all the time), it rained. It rained ALL DAY LONG the day of their wedding. Conveniently (thank you Mother Nature), it stopped for just a short time to jump on a golf cart and ride out to the meadow for some portraits. It was cold, dark, and rainy. While naturally, there are brides who would NEVER want to walk through muddy grass while dodging rain, Becca was the total opposite. We planned for those portraits and she wanted to get them regardless of what Mother Nature was throwing our way. She’s the best. They planned to get married in the dogwood meadow on the property at the Botanical Garden but that all changed due to the weather. Thankfully any wedding – weather in the meadow or underneath a tent – at the Pittsburgh Botanic Garden is going to be beautiful. Paired with music from Jason Kendal Productions, they had a lovely – and fun – evening with their close family and friends. Want updates, tips, freebies, and more delivered straight to your inbox?! Sign up below and we’ll meet up in your inbox! Subscribe to my mailing list! !